Billy Corgan and his crew were one of the closing acts. What a delight it was to gaze upon a band that on the tour included such creditable artists, including Brad Wilk of Rage Against The Machine and Mark Stoermer of The Killers. They brought a more relaxed vibe to what was a hectic soundwave thrilling day. 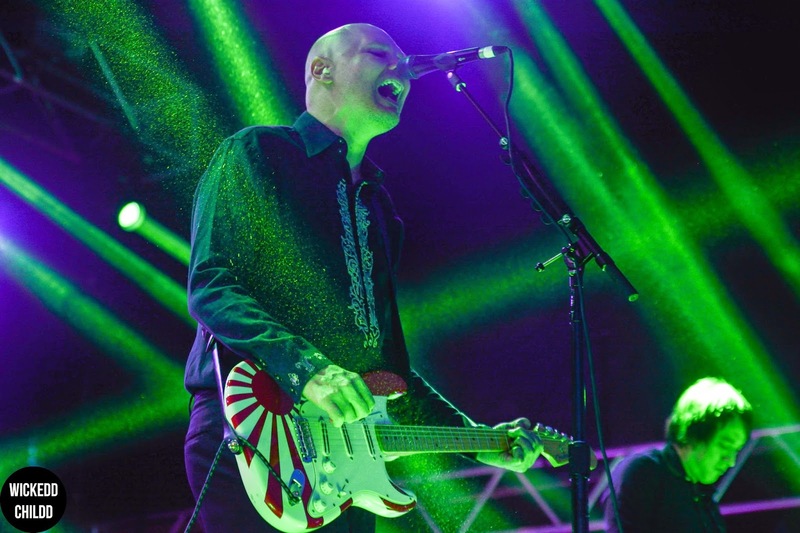 With stunning vocals still on point from Corgan and such skill by Wilk and Stoermer, fans were seen swaying along to what was a marvellous performance and wicked light show. They played hits such as 'Tonight,Tonight' which kept the crowd excited and also endevoured in tracks like 'Monuments' and 'Bullet With Butterfly Wings'.